When I used to see Conan O’Brien in photographs or on TV, I often thought I should do a caricature of him. Then when he grew a beard a while ago, I saw rooster. Finally, here it is. This entry was posted in Celebrities, TV and tagged Caricature by EJ, O'Brien, Rooster by EJ. Bookmark the permalink. 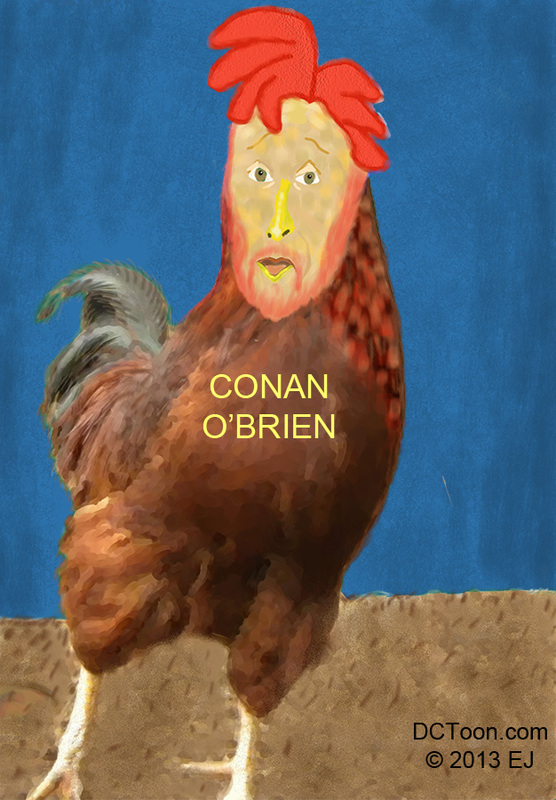 But wait – does this imply Conan is somehow ‘chicken’ of something? CONGRATULATIONS John! You have made the first comment on this site. Thanks!